So What Should You Do In Paris? 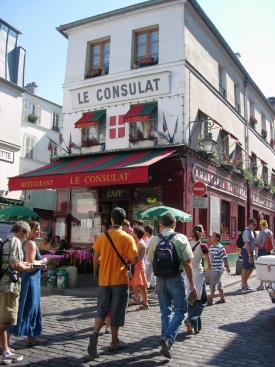 Don’t see the Mona Lisa, climb the Eiffel Tower, or grab a coffee at Café de Flore? Well, not exactly, but taken from an expert on Paris, there are plenty of ways to get the best out of Paris, without doing what Paris is best known for. For example, want a great view of the city without an overpriced ticket to do so? Avoid the Eiffel Tower and take in the sights from Tour Montparnasse or the Arc de Triomphe (or, as one commenter points out, just hoof it to Montemartre). Or want to fit in a side-trip and are thinking about seeing Nice? Au contraire. Described as a “busy city with terrible traffic, little history or culture, and an ugly pebble beach,” the author recommends visiting the nearby Loire Valley for great sights and unforgettable food and wine. Read the full article here.